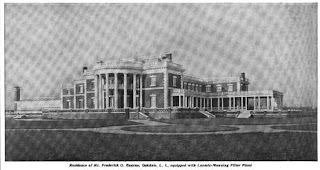 'Indian Neck Hall', the Frederick G. Bourne estate designed by Ernest Flagg c. 1897 in Oakdale. Click HERE and HERE for more on 'Indian Neck Hall'. Photo from Country Life, 1907.